A new version of the car driving test will be introduced on 4 December 2017. There will be changes in four main areas, designed to better equip drivers for modern driving conditions and techniques. These changes will only apply to car driving tests, at least for now. However, one of the planned changes has proved controversial and driving examiners who are members of the Public and Commercial Service (PCS) union have voted in favour of strike action for 48 hours on 4 and 5 December. Here’s what will change — and why examiners are unhappy. The independent driving section of the test was introduced in 2010. It requires you to follow a marked route on a map for around 10 minutes, without any turn-by-turn instructions from the examiner. In the new driving test, the independent driving section will be extended to around 20 minutes, which the Driver and Vehicle Standards Agency (DVSA) says is around half the time required for the practical test. Back in my day, reversing around the corner and doing a three-point turn were standard manoeuvres that caused sweaty palms and (sometimes) test fails for many learner drivers. Pull up on the right-hand side of the road, reverse two car lengths and then rejoin traffic — this is the controversial one. Reverse parallel parking was always part of the test, and in my view is more relevant and useful than ever given the level of on-street parking on busy urban roads. Parking in a bay is very similar to the reversing round a corner, as both require careful positioning through a reverse turn. But many drivers one sees in car parks seem to struggle with this, so I think it’s good that it’s being added to the test. The third manoeuvre is the one which has some examiners up in arms. They say that parking against the flow of traffic contravenes the Highway Code and is potentially unsafe. Examiners who are members of the PCS union are planning a 48-hour strike when the new test is introduced. I’d argue that this is a real-life manoeuvre which many drivers do regularly. There certainly are safety risks, so surely including in the test and making sure it is properly taught is a good thing? In my view, you certainly won’t stop drivers from doing it, whether they’re taught to do so or not. The reality of modern driving is that most drivers now use sat navs, either on a smartphone or a dedicated device. So it makes sense to add this to the driving test, as following directions from a sat nav can be surprisingly distracting. The examiner will provide the sat nav and set the route. You will be asked to follow directions from the sat nav during the independent driving part of the test. If you take a wrong turn, the DVSA says that it won’t matter, as long as you don’t commit a fault. 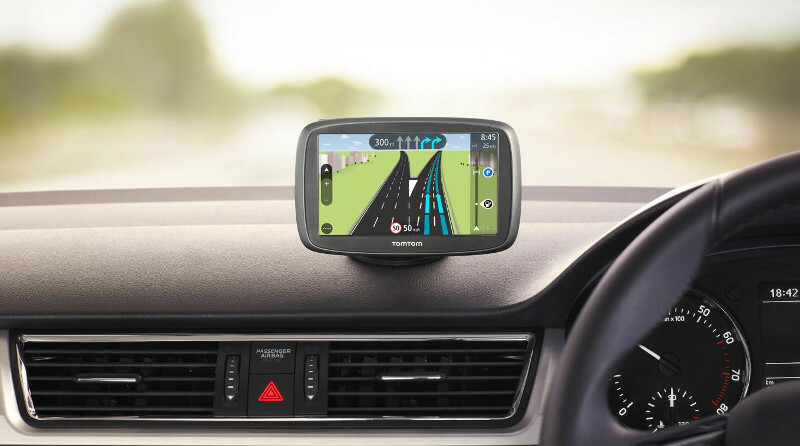 One interesting point is that only 80% of test candidates will do the sat nav test. The other 20% will be asked to follow directions from road signs instead. Known as ‘show me, tell me’, this section of the test has two parts. The first is that you will be asked to tell the examiner how you’d carry out a safety check before starting your drive. Examples might include checking the condition of the tyres, or the car’s oil and water levels. This is ‘tell me’. The second part is ‘show me’. This requires you to explain to the examiner how you’d operate safety-related controls on the car, while you are driving. For example, you might have to wash the windscreen with the wipers or show how you would switch on dipped headlights.